Our friends over at FBTB are hosting a “Star Wars Evolved” contest inspired by the upgraded T-70 X-wings in The Force Awakens. 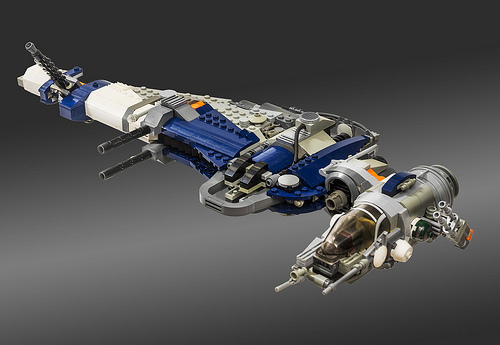 The premise of the contest asks the question, “What would other Star Wars vehicles look like 30 years later?” xiei22 answers the question for the B-wing with this chunky blue and white beauty. I’m a sucker for schematics, so here’s a nice graphic explaining the enhancements. 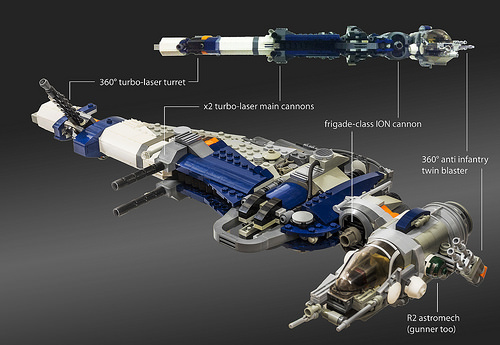 The original B-wing packed the punch of a capital ship, so the extra guns and rotating turrets are a particularly lethal upgrade.